Looking for your next great book? Check out this stack of 6 must-reads. From YA to Romance to Science Fiction. I’ve got you covered! I can’t believe that we are closing in on our last month of reading this year. I am on the struggle bus for December as I try to put 11 books under my belt to reach my 100 books goal, but I am determined to make it happen. If you are on the struggle bus too, this quick reads to reach your reading goals list might be the ticket for you. This month I had the best time joining in as co-host for the Currently Reading Podcast. If you haven’t listened to this podcast before, you are in for a big treat. Kaytee & Meredith share their bookish moments and discuss what they are reading with kindness and honesty. 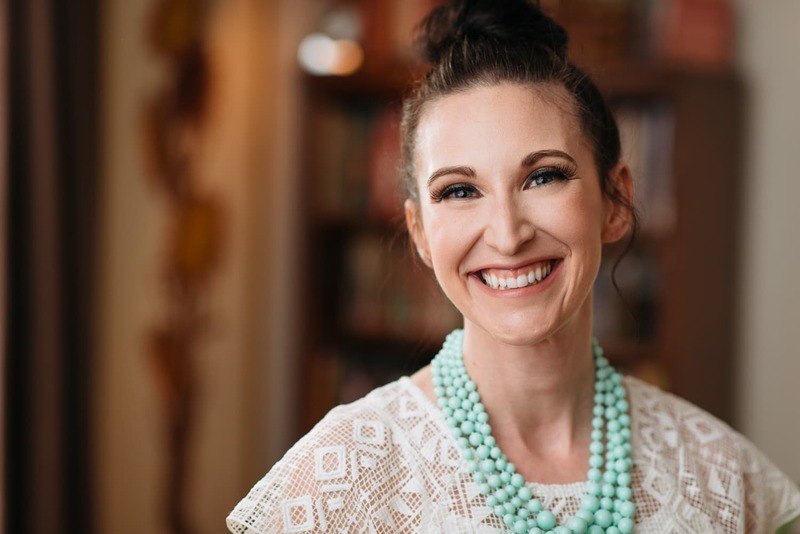 I loved sharing about a few of the books that I had been reading as well as some tips for starting your own book club. 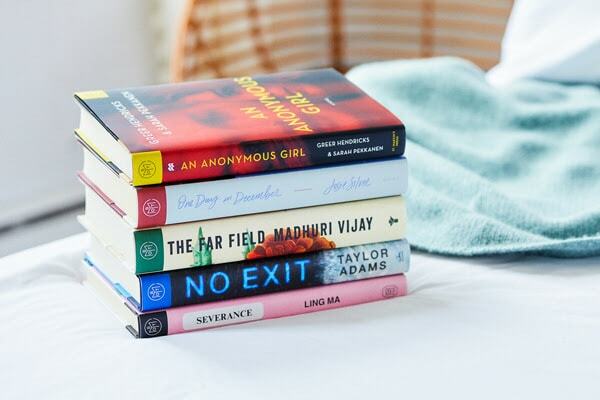 Speaking of book clubs, did you see that our 2019 selections have been announced? After a month of research and gathering, I am REALLY excited about these picks and can’t wait to share them with you. My fingers are crossed that I have found a few of your new favorites for 2019! Speaking of great books, did you know that Prime members get a book for FREE every single month BEFORE it is released to the public? 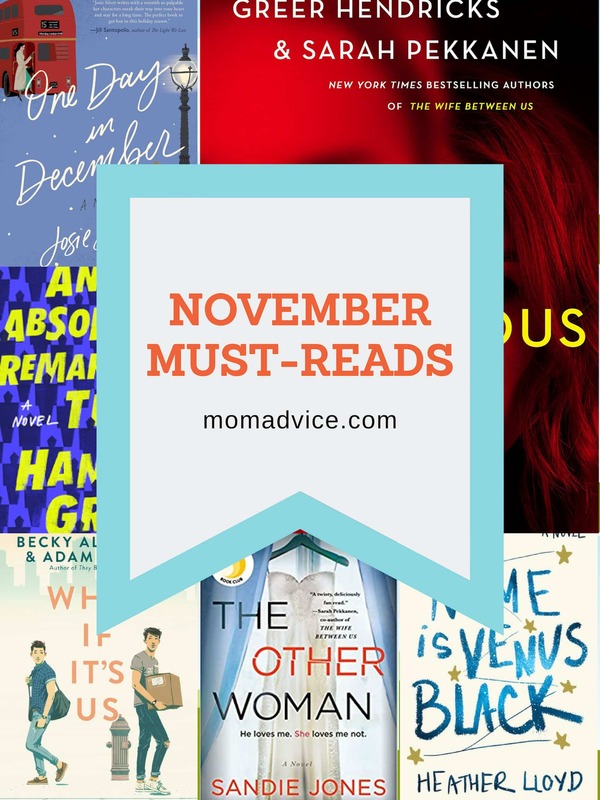 Be sure to select a free book for December! You earned it! If you want to see more of what I am reading, please feel free to friend me on GoodReads! You can find me right here and I am always happy to connect with people there! There is nothing more motivating than seeing what other people are raving about and my to-be-read pile continues to grow with all of my new friends on there! Looking to add some variety to your stack? Feel free to join our book club! I announced our selections (here is what we will be reading in December) and you can find them pinned at the top of the group page. Need another challenge to push you out of your reading comfort zone? Be sure to download this year’s Reading Challenge Worksheet. When you give a Book of the Month subscription as a gift this season, you’ll get a gift for yourself: one free month! We have 3-, 6-, and 12-month subscription plans available for purchase. Give a gift, get a gift! today. I HIGHLY recommend this one as the perfect holiday gift. It has been a hit with ALL of my friends and family. It is also SO fun when a gift can be enjoyed over a few months rather than just for one day! Also, using code NICE2MEETU, new members can get their first book for just $5. I chose An Absolutely Remarkable Thing as my Book of the Month selection, just knowing that this would be a book that I could pass on to my husband and son. 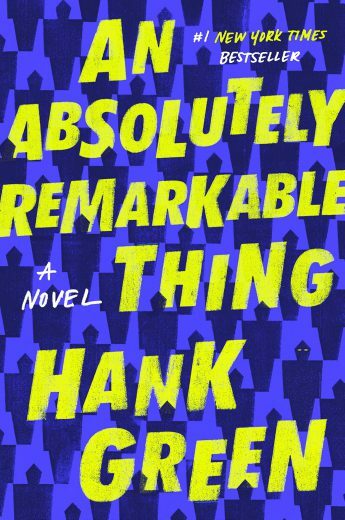 Both of us read and loved this fun science fiction debut from Hank Green. In this story, April May happens to be roaming her way around NYC in the wee hours of the morning when she stumbles upon a giant sculpture. It is an unusual looking ten-foot-tall industrial Transformer-type sculpture, unlike anything she had ever seen before. Her friend, Andy, happens to be trying to make an audience on YouTube so she calls him to come and film her making a video of her with it and shares how she notices that even a sculpture of this size barely catches the eye of any New Yorker that’s passing. In the morning, April awakens to find that her video has gone viral…and so has this sculpture. You see, this sculpture didn’t just end up in NYC. It ended up in cities all over the world and no one knows how they got there. The story builds out from there as April tries to be the first to discover the mystery of these metal fixtures (nicknamed Carl). She isn’t the only one looking for the answers though and this becomes a contest that the whole world seems to be participating in. My husband loved all the geeky fun in this one, but I loved the more complex moral exploration of how social media can change us and our relationships with others. Although this one is supposed to be in the adult category of literature, it read more like a YA read to me. This was a strong debut (what else could we ever expect from John Green’s brother?) and the ending to this one screams sequel. Fans of Ready Player One will LOVE this fun read! 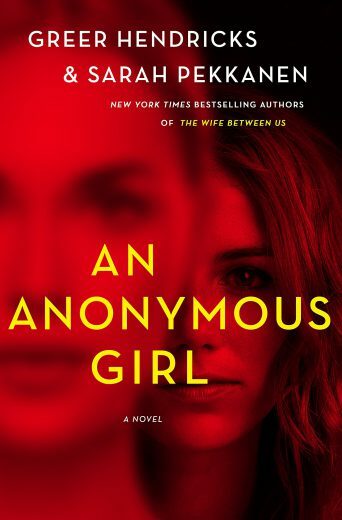 I thought I might be a bit burnt out on thrillers, but I read this twisted thriller in about 24-hours, proving that I am still digging this genre. 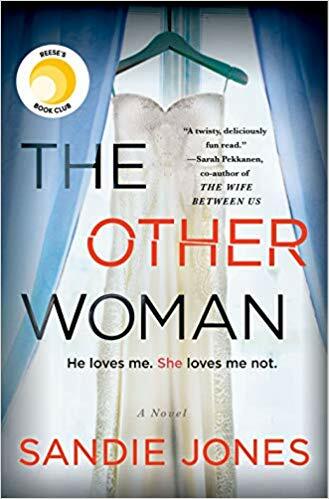 The Other Woman has had some pretty polarizing reviews so I have a feeling that this is one that you will really love or really hate. I joined the loving it camp because it was just what I need after a busy holiday weekend and I liked the fun twists that Jones weaved into this story. Emily meets the guy of her dreams and they fall into a fast and heavy relationship in a matter of weeks. Although she seems unsure if he really loves her, Adam asks Emily to move in with him and then to be his wife. Although Adam is reserved and Emily is unsure where she stands with him half the time, the real issue is his mother. This woman does everything she can to sabotage their relationship and Adam is (or pretends to be) oblivious to all of his mother’s games. From snide comments to inviting someone to her hen party (gosh, I love that party phrase so much more than the ol’ bachelor party phrase) that she had a major falling out with, Pammie will stop at nothing to make sure that the two won’t get married. Oh, and did I mention that Emily is having feelings for Adam’s brother? I don’t want to say too much more, but things escalate quickly and Pammie is a pretty infuriating character. In fact, I am pretty sure I can blame my jaw pain on her this week since my teeth were clenched through almost everything she said. Although I thought I knew where this one was going, the ending surprised me a lot more than I had expected and I found this ride, even though it was predictable at times, to be worth the wait. If you are looking for something quick and light to break up the heavy stuff, this one just might be the ticket. 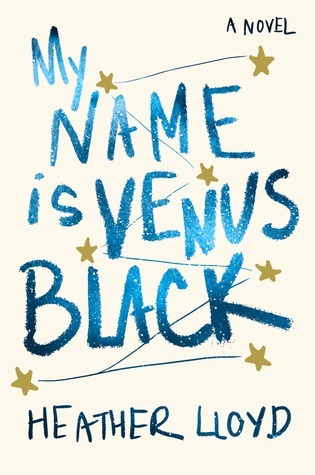 If you are looking for a really good YA read to add to your stack, My Name is Venus Black REALLY captured my heart this month. Venus Black is a good kid, fascinated by astronomy and a strong student. That is why it is so unbelievable and shocking when she commits a crime that tears apart her family. No one knows why she commited the crime and Venus refuses to talk about it, yet puts much of the blame solely on her own mother. In the chaos of this crime, her developmentally challenged brother, Leo, goes missing. Five years late, Venus is released from prison, but struggling to be released from her own identity. She tries to get a fresh start in a town, but no matter how hard she tries, she is unable to escape her own past. Meanwhile, Leo is living his own challenging life and it has been doubly challenged by his environment and the person who kidnapped him. This change in residency though just might yield a different kind of family for this boy as those around him come to know and love sweet Leo. This book is BEAUTIFUL and I loved every bit of it. Since so many wanted to read this one, you can catch an impromptu discussion (lead by Kaytee!!) in our MomAdvice Book Club. I couldn’t put this one down and I know that these characters will be in my heart for a long time! 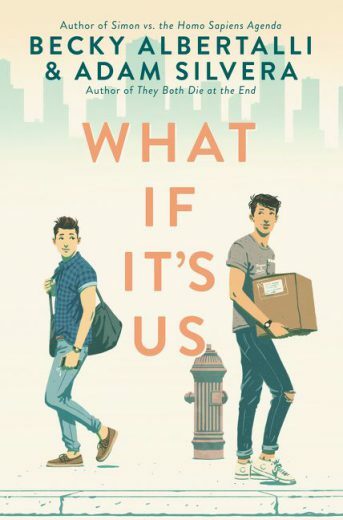 Fans of Simon Vs the Homo Sapiens Agenda will absolutely ADORE What If It’s Us and will not be able to put this charming coming-of-age love story down. Arthur is in New York for the summer and never expected that a trip to the post office would change his life. While standing in line though, he chats with another guy who is at the post office to rid himself of his ex-boyfriend’s items. The two strike up such a great conversation that Arthur just knows that the two were destined to meet. 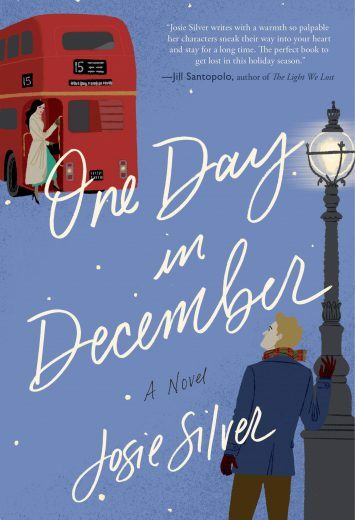 Wouldn’t you know that a flash mob decides to come in to perform on that day and Arthur realizes that the boy of his dreams has left before he was able to get his name or number? With encouragement from friends, he decides to put in an ad on Craigslist to see if he can find this newly single guy. Magically, the universe delivers and the two find each other and end up going on some really terrible dates. They aren’t willing to give up though and repeat their “first date” many times, getting to know each other through the process. What unfolds is an awkwardly sweet and honest teenage love story that I am such a sucker for. I listened to this one on audiobook and it was a really fun one to listen to. The chapters alternate between Arthur and Ben and I found myself laughing out loud and even quite teary as I remembered my own dating struggles when I was growing up. This was charming, adorable, heartfelt, and perfectly imperfect…as all love stories are. I really enjoyed these two authors first collaboration in The Wife Between Us so I was excited to get my eyes on an advanced copy of this one. You can get your hands on it too thanks to this being one of the selections for Book of the Month. This book kept me up until the wee hours of the night and I was completely hooked within the very first chapter. Jessica works as a freelance makeup artist and ends up doing a job for a woman that completely changes her path. When she overhears that her client is planning to turn down a psychology study that is paying a good sum of money, Jessica decides to turn up in her spot to see if she can take her place. That is just the opening question though and the questions start to become more and more invasive. The thing is, Jessica starts to enjoy answering these questions and since she is doing such an incredible job, the doctor conducting study asks if she can assist in further research. The money is too good to pass up and this is how Jessica finds herself becoming more and more paranoid as she worries that things happening in her daily life are really her being tested in the study. Jessica could never guess though just what Dr. Shields is really up to and, at times, neither can the reader. This is a smart psychological thriller with a well-thought plot. If you love Black Mirror, I have a feeling you will love this one as it toys with the moral compass and what happens when we choose the wrong keeper to our secrets.